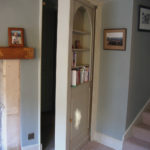 Bath Furniture Makers, Bath Bespoke Furniture, Joinery, Antique Furniture Restorer, Carving, Veneering, Wood Turning. 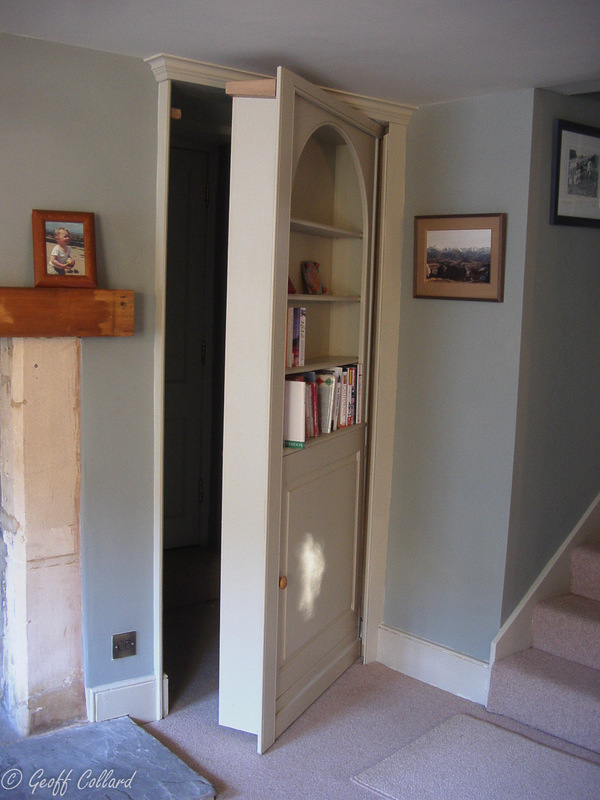 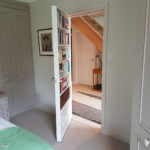 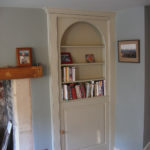 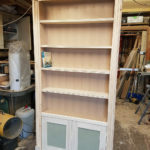 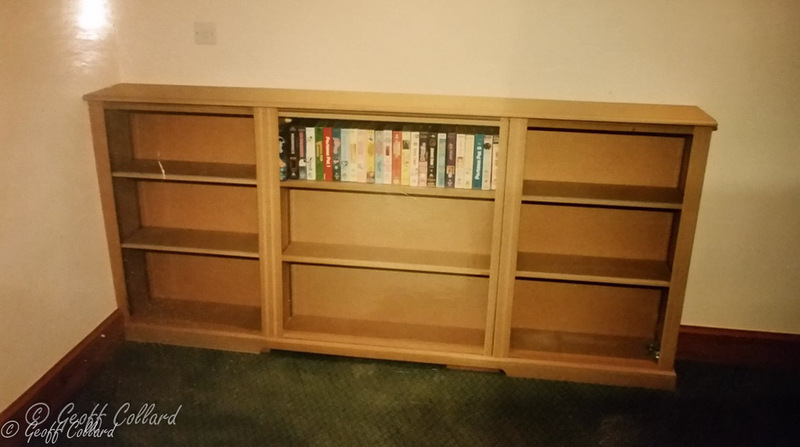 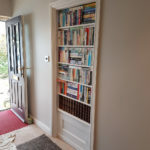 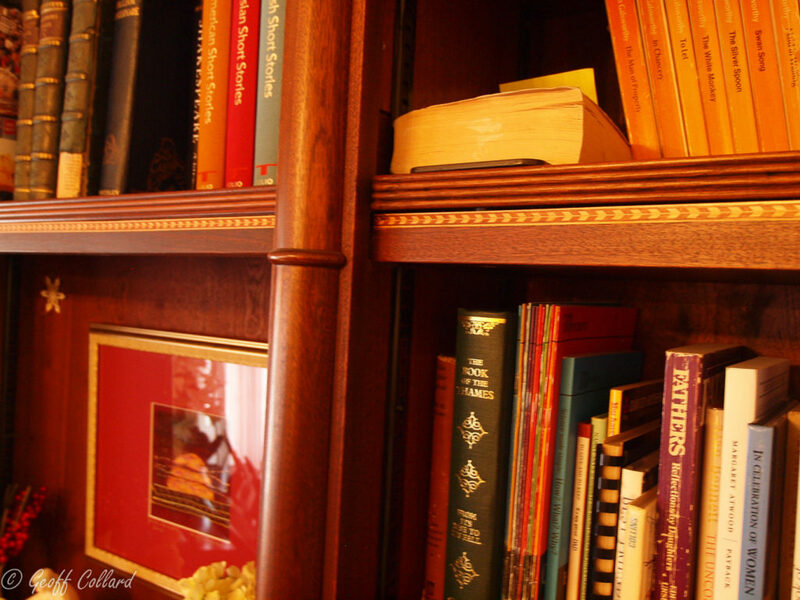 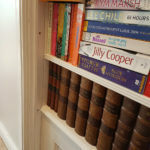 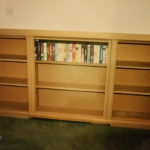 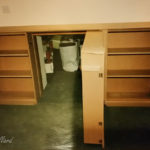 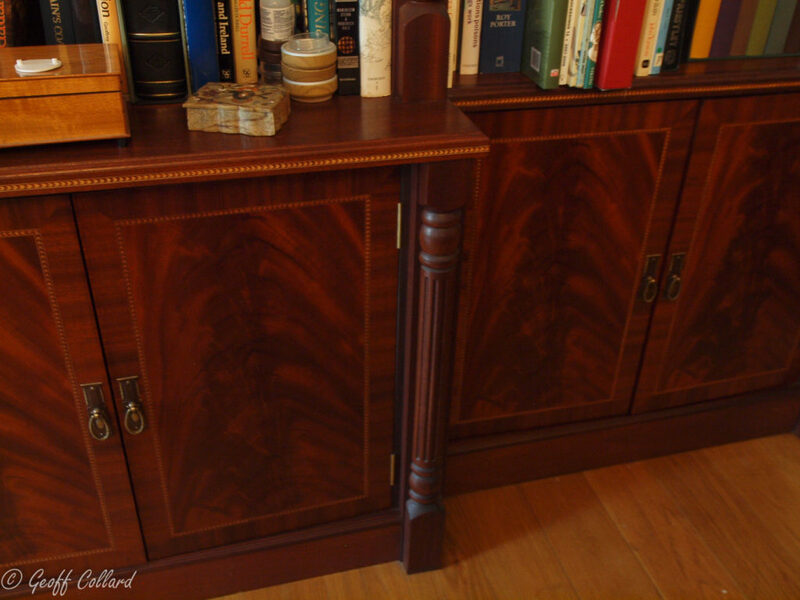 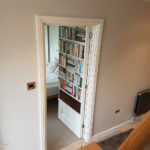 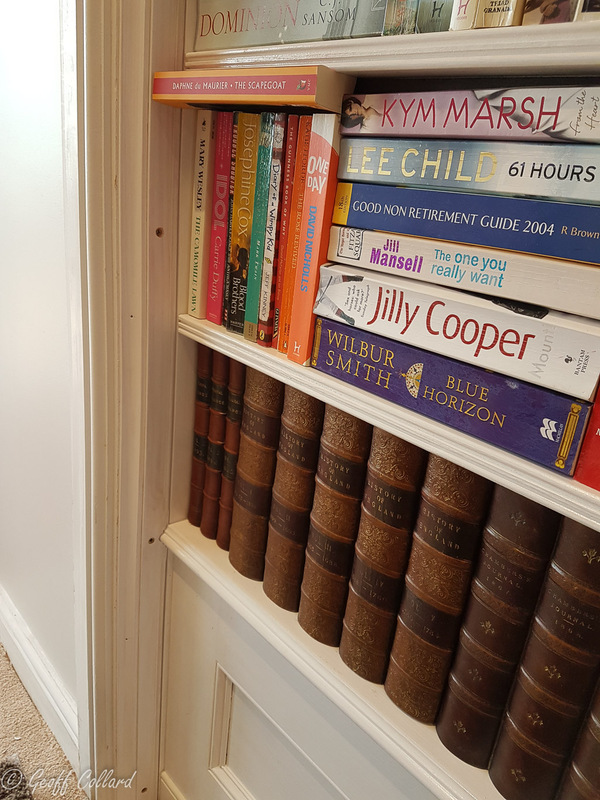 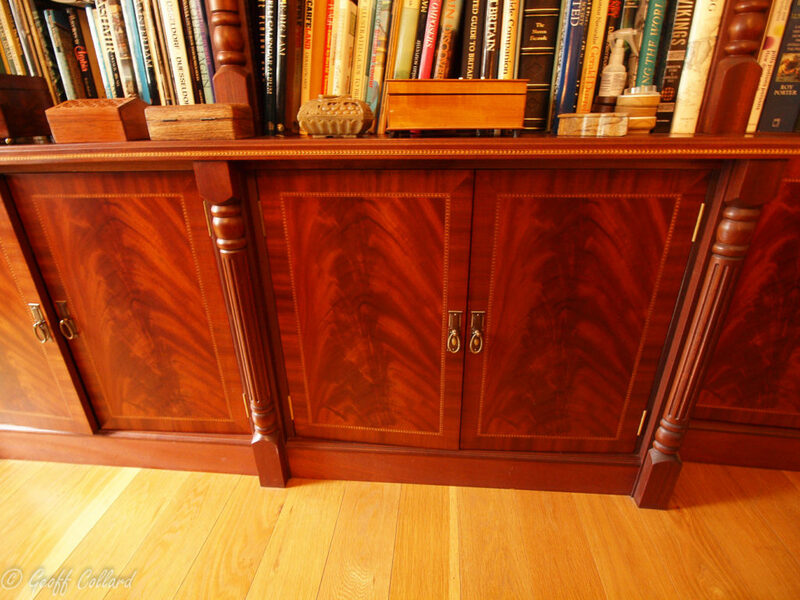 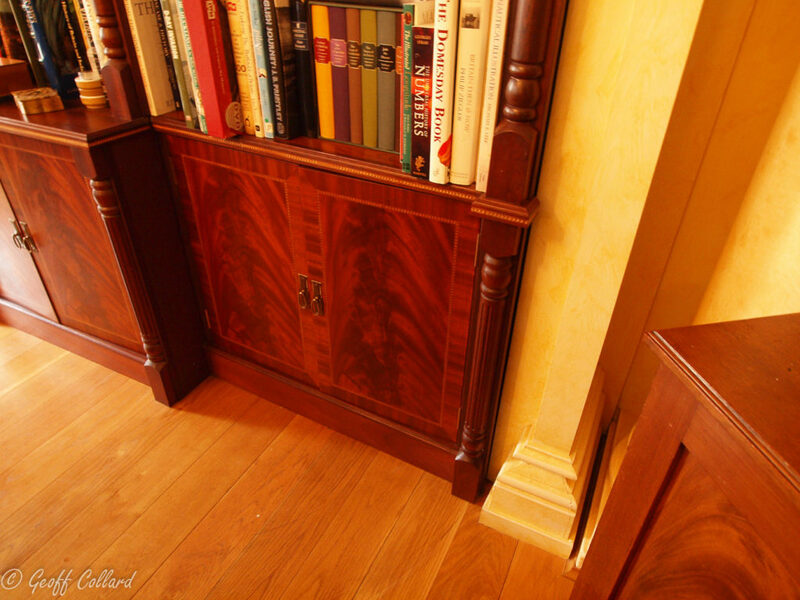 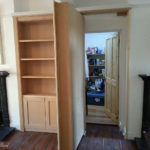 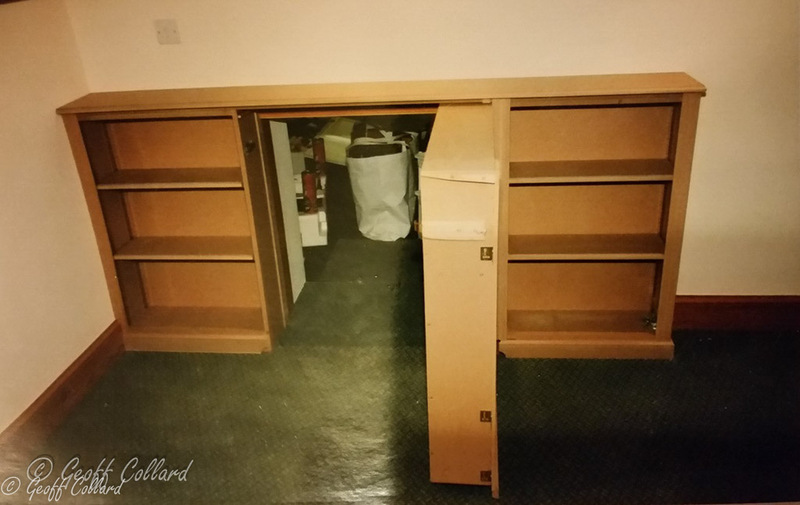 This was the first bookcase I did with a secret door, although I went back to take some photos and video with my digital camera I made the bookcase in 1998 and according to the client has worked perfectly. 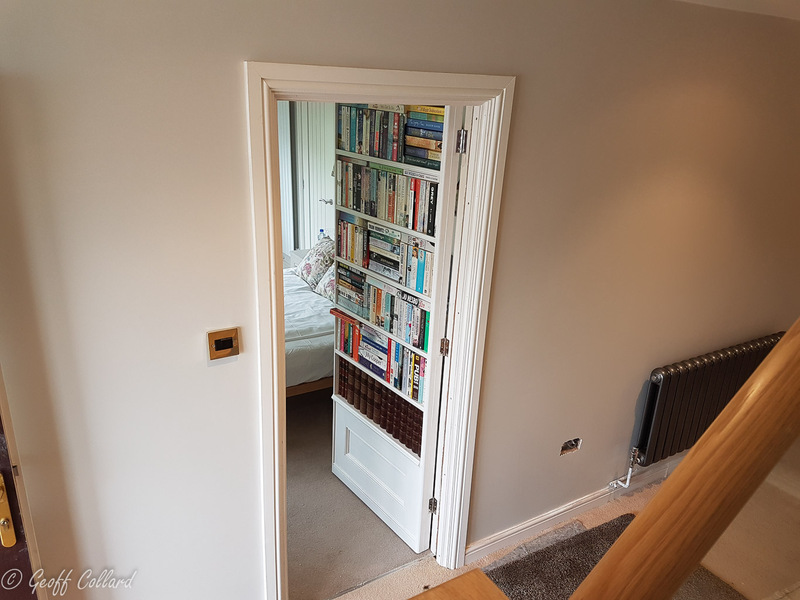 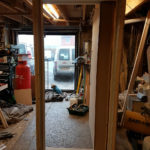 The door leads to a small flat. 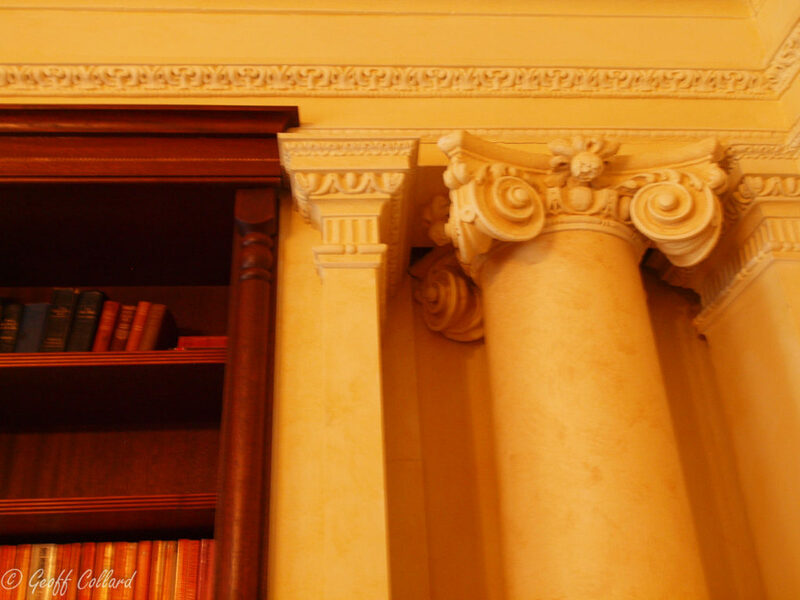 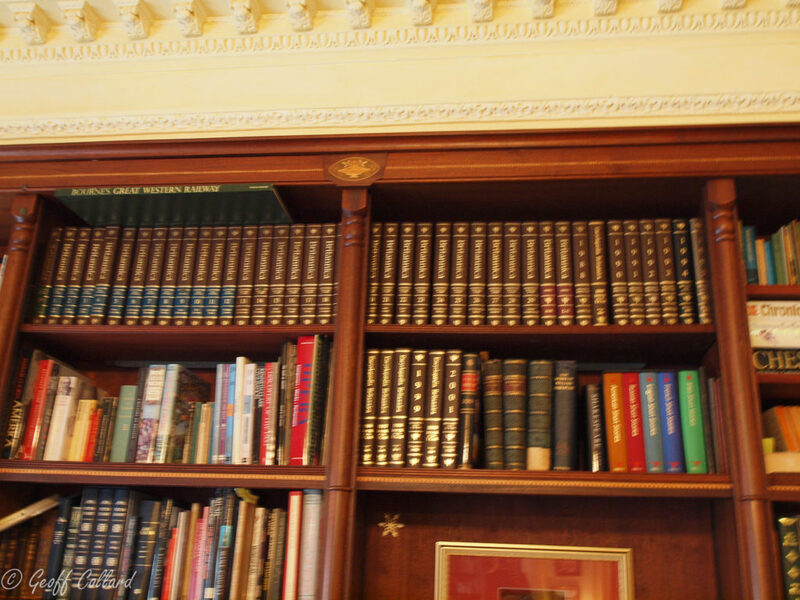 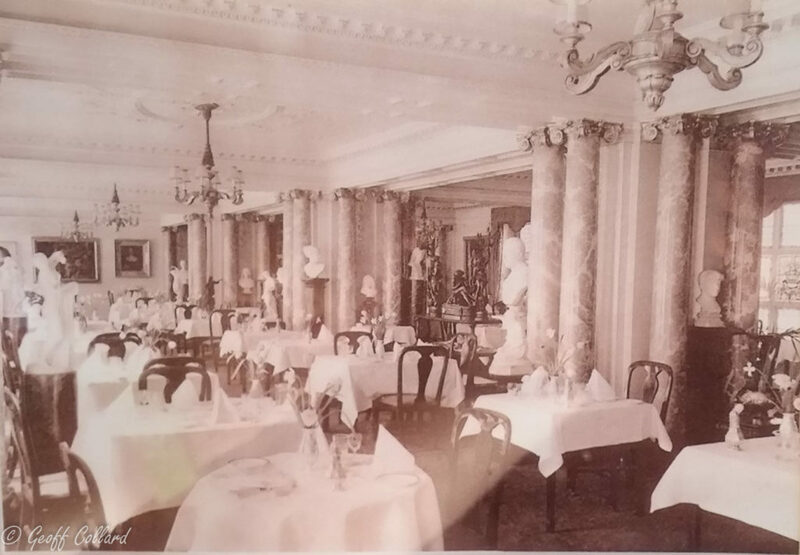 The hotel was converted into apartments and to the right of the bookcase are columns which you can see in the black and white photo was how it looked in it's hay day. 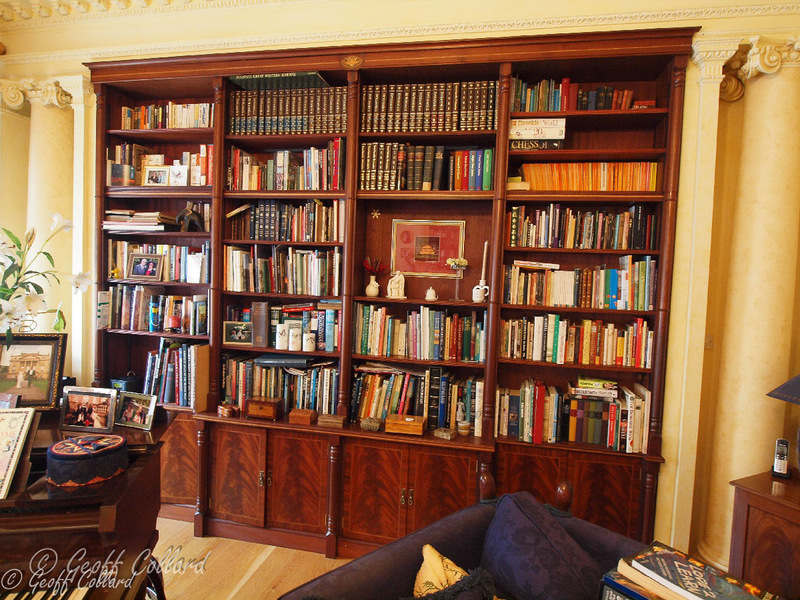 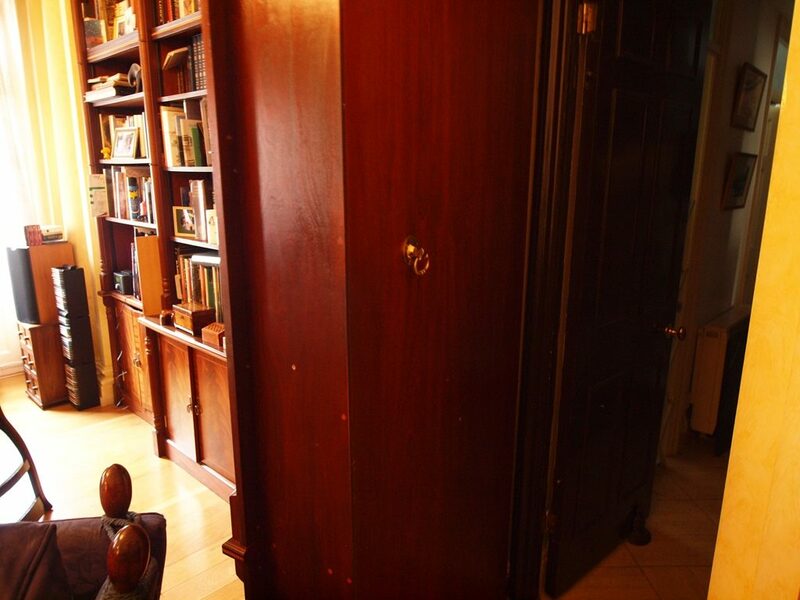 I built another less grand bookcase to the right of the columns in the adjacent room which you can see here. 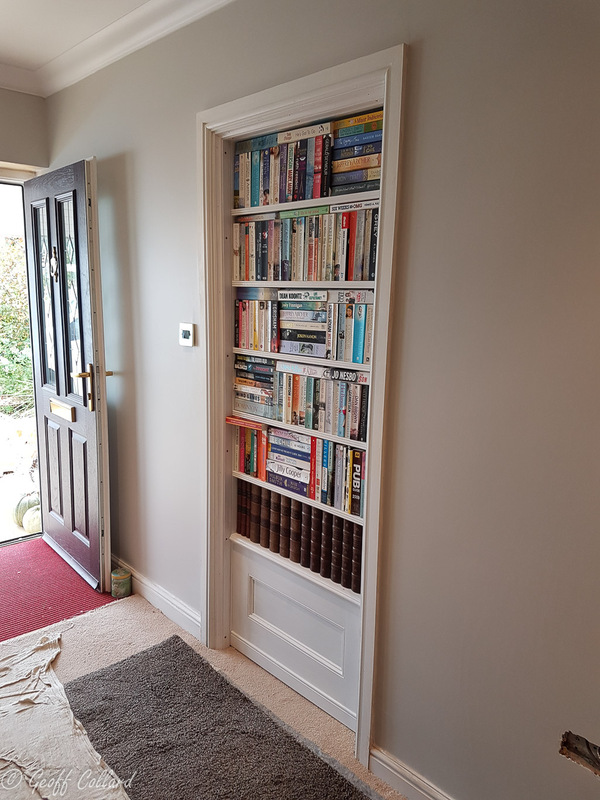 I constructed a new square column to match the one in the corner, this gave me a logical return for my bookcase. 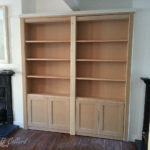 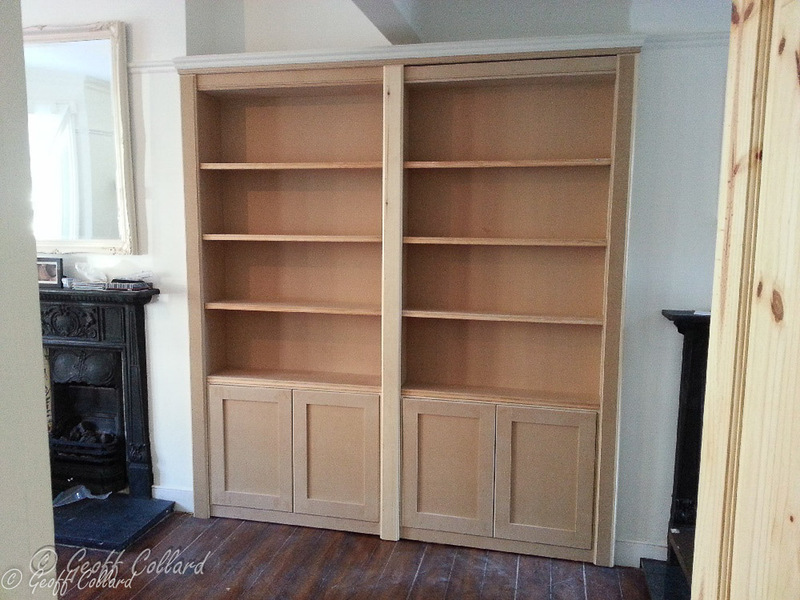 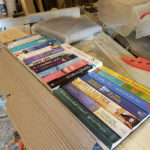 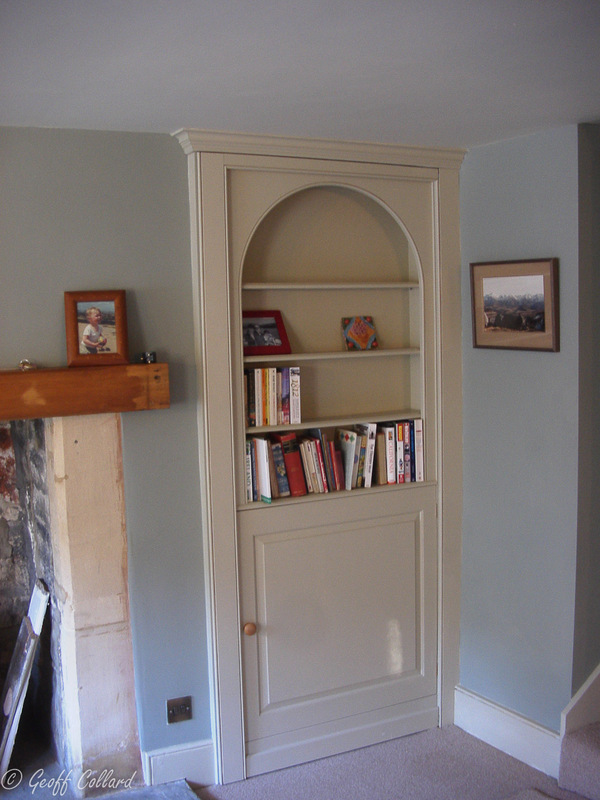 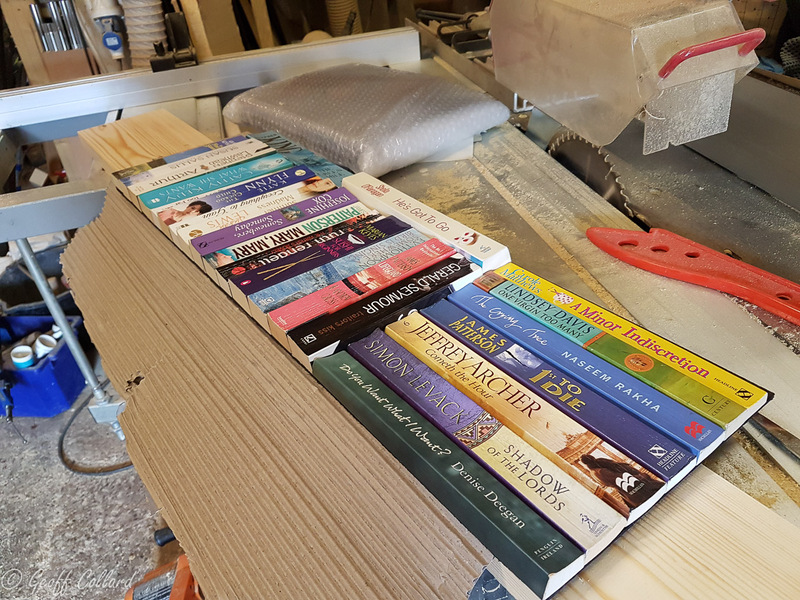 I have made this bookcase ready to fit by the builders as the project was in Surrey. 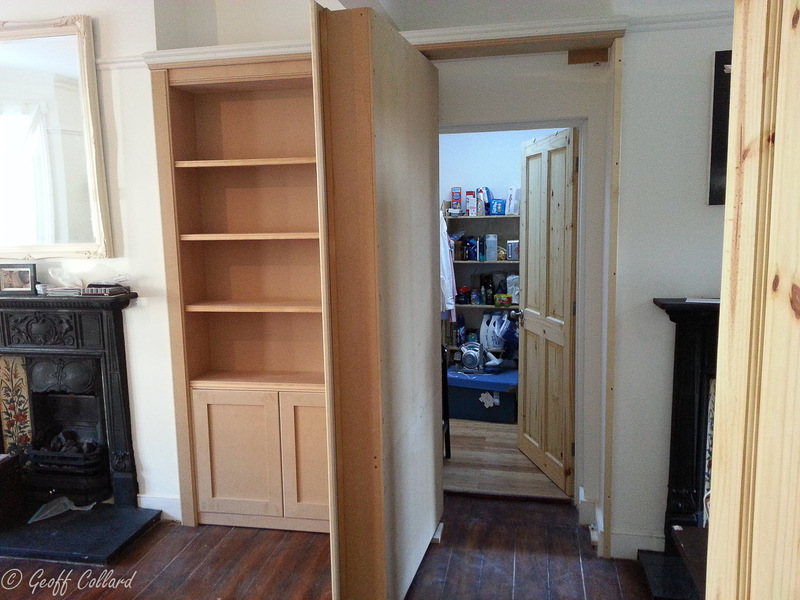 The shelves are adjustable and the doors are on soft close hinges. 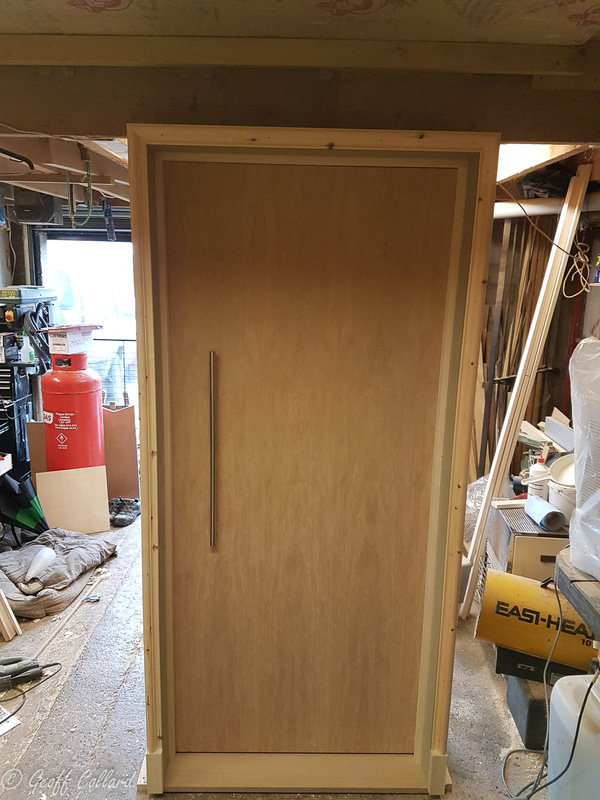 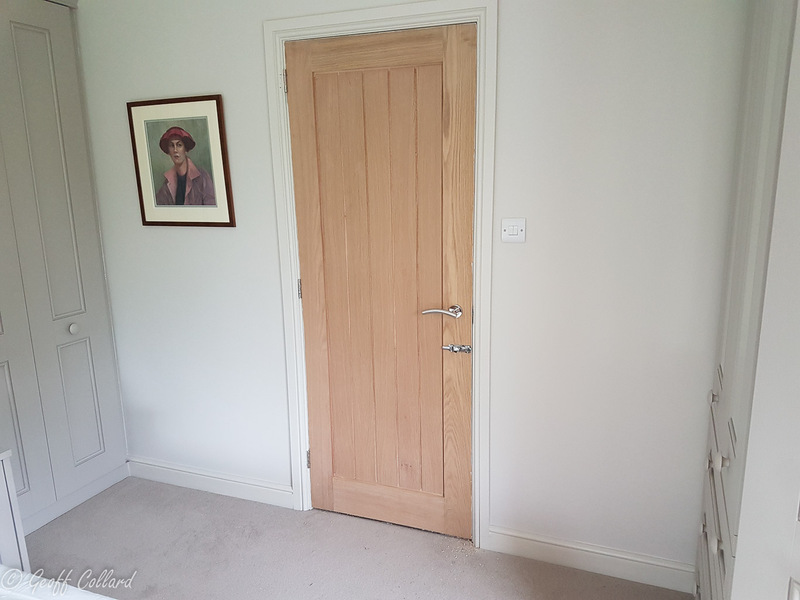 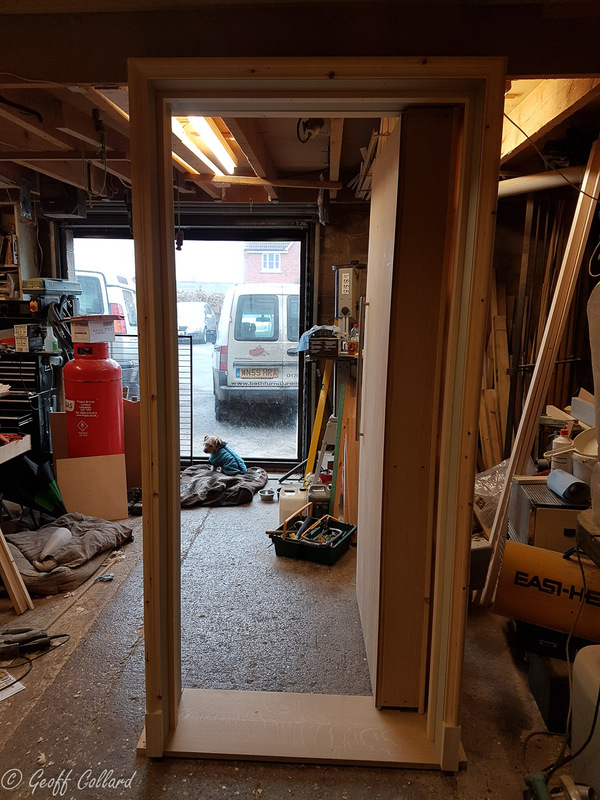 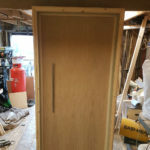 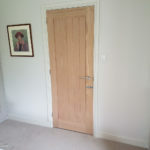 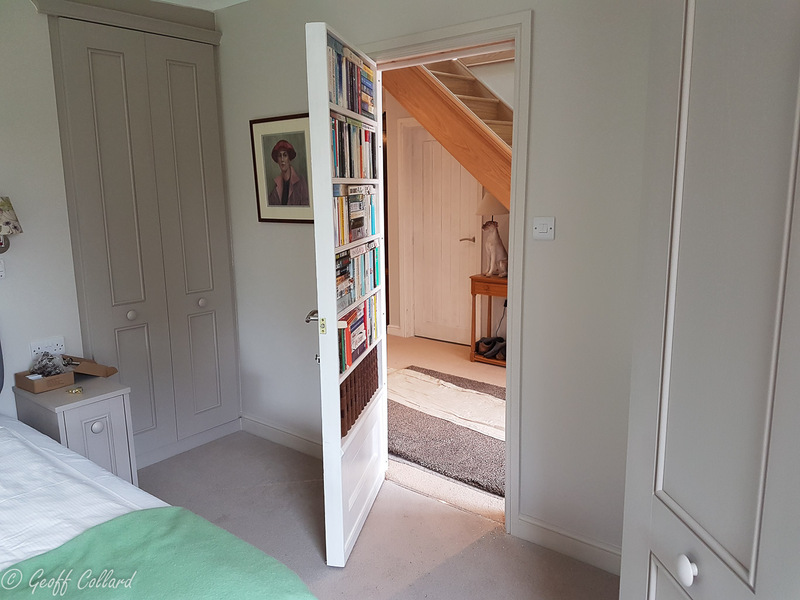 The client wanted the secret door to look like a contemporary oak door from the extension side, this made it tricky because of the clearance gaps needed but carefully positioned and machined doorstops it worked a treat. 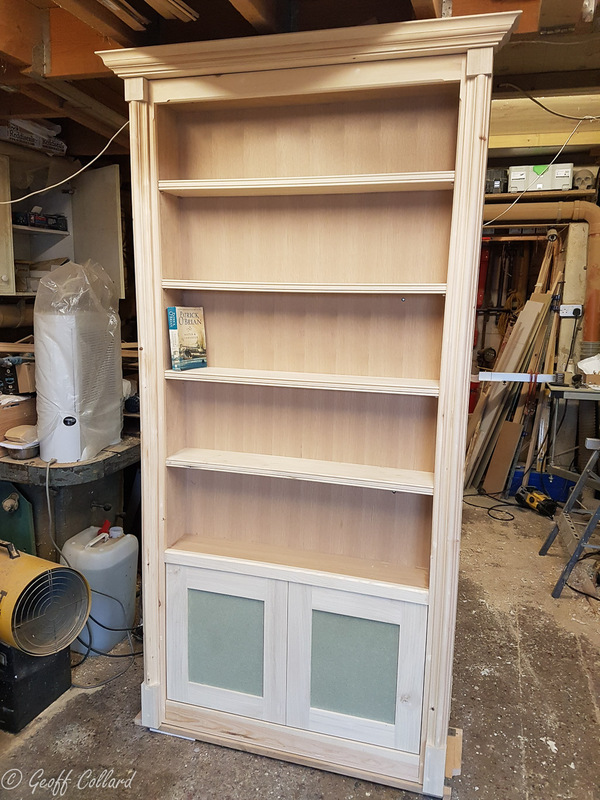 Freestanding secret bookcase door ready to deliver, just needs screwing in the pre-made opening. 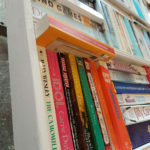 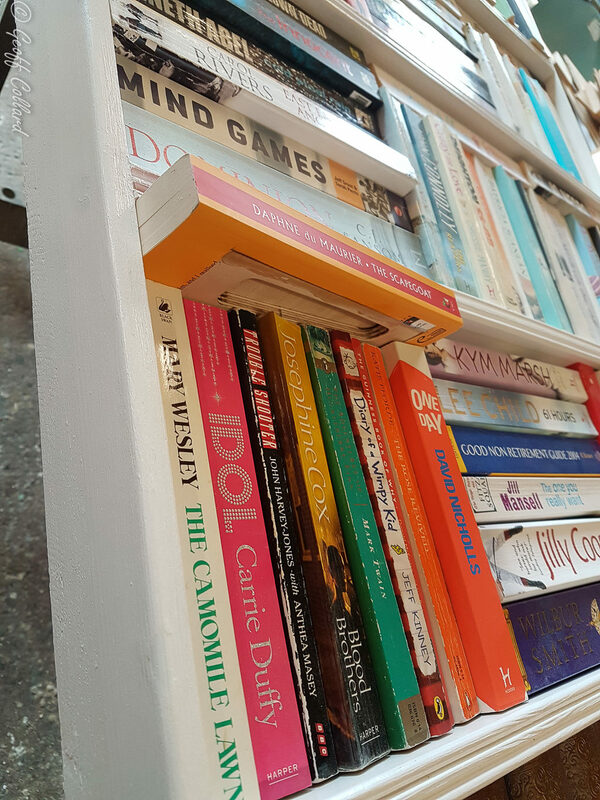 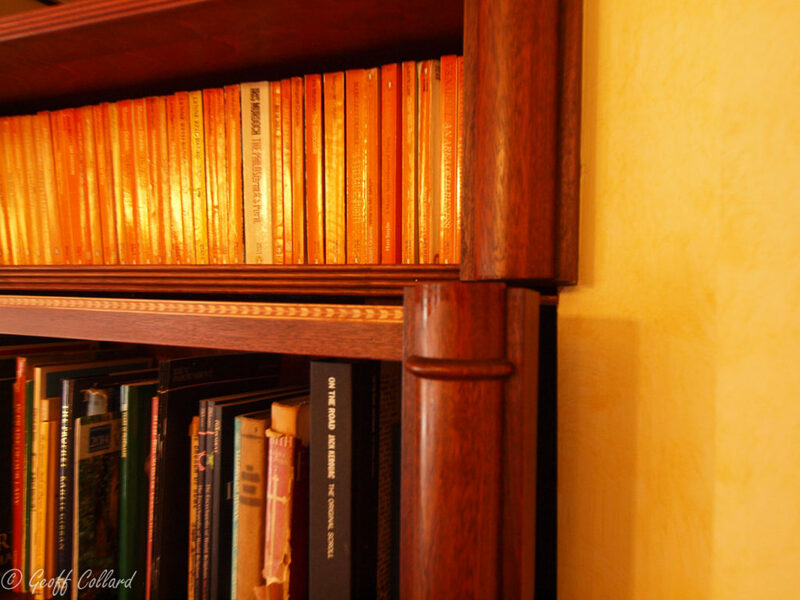 Close up of faux book spines, the one sticking out has a finger pull on the underside. 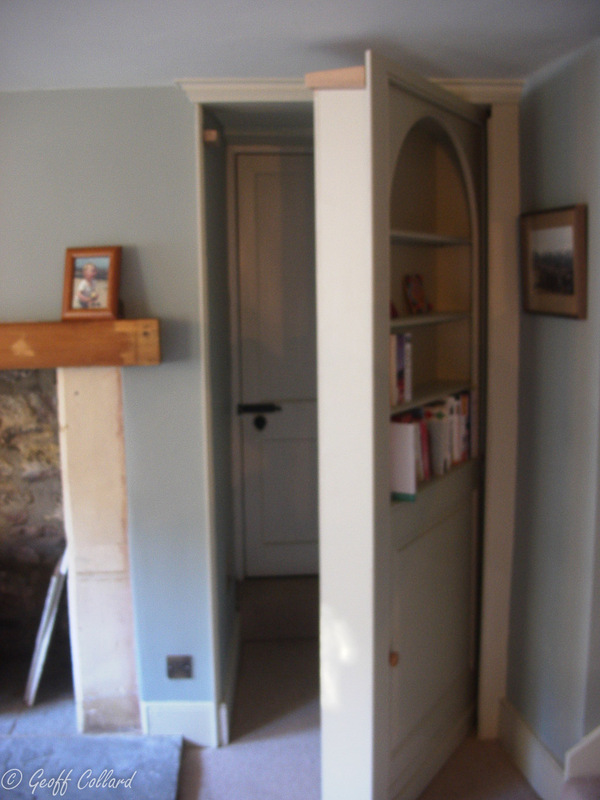 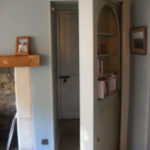 Hidden bookcase door on a standard 30 inch internal door, this shows how thin the over all door is. 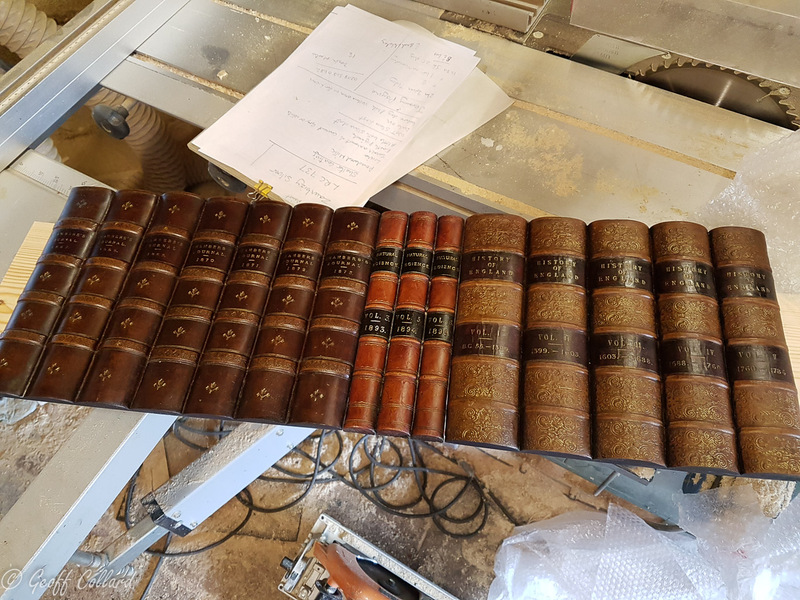 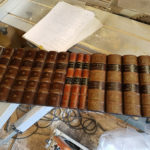 Faux book showing finger pull, this is a real book with a birch ply insert, this was coated in resin to make a strong job.